Lucius Domitius Alexander was vicarius of Africa when Emperor Maxentius ordered him to send his son as hostage to Rome. Alexander refused and proclaimed himself emperor in 308. 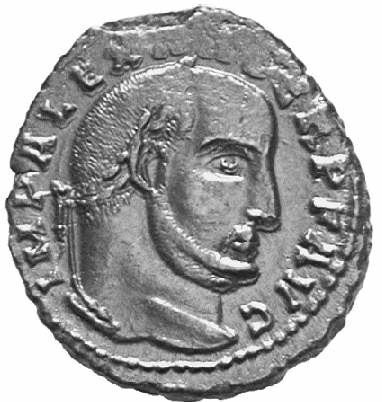 Apart from the provinces in north Africa (Algeria, Tunisia and western Libya), Domitius Alexander also controlled Sardinia. At the time of his accession, he was already at an advanced age. There is evidence in an inscription that Alexander and Constantine I allied themselves in opposition to Maxentius. Maxentius sent his praetorian prefect Rufius Volusianus and a certain Zenas to quell the rebellion, and Alexander was taken prisoner and then executed by strangulation.